EEC specializes in the design and installation of integrated renewable systems which provide the most efficient space conditioning, hot water, and power solutions for homes, multifamily units, and commercial buildings. Integrated systems are the combination of technologies which augment one another in order to maximize system performance and energy savings that cannot be realized with individual systems. For example, solar hot water collectors can be combined with a geothermal heat pump to increase the efficiency of the heat pump, and heat is distributed by radiant hydronic system which avoids heat losses associated with forced air heating. Every system is specifically designed based on the unique heating and cooling loads and features of the individual home. Below is a description of the various residential renewable/sustainable energy systems in which EEC specializes to provide a basic introduction for those unfamiliar with the systems. For a discussion on the more advanced technology features that EEC incorporates into our integrated system designs and the resulting energy efficiency savings, visit our Advanced Technology page. 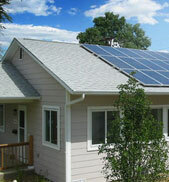 For an example of integrated systems incorporated into a green home, visit EEC's zero energy HVAC Platinum LEED Home. Geothermal heat pumps, also known as geoexchange systems, are energy efficient, clean, and cost effective technologies that are quickly gaining popularity. Geothermal heat pumps, use heat stored in the ground, as a natural renewable source for space heating and cooling, as well as water heating in a home. High-efficiency geothermal systems are on average 40-60% percent more efficient than conventional gas and electric furnaces. 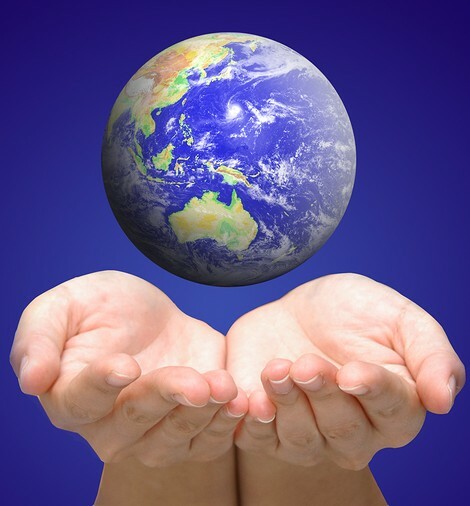 In addition, geothermal heat pumps burn no fossil fuels and therefore produce no harmful indoor air pollutants. Residential geothermal systems include a heat pump, ground loop, and ductwork into the building. 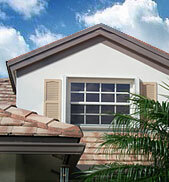 The size and cost of a system depends on the energy requirements and geographic location of a home. Solar hot water heaters use the sun’s energy as a renewable and free source to heat water. According to the U.S. Department of Energy, a solar thermal water heater can drop your water-heating bill an average of 50 to 80 percent. Most solar hot water systems require back-up water heating such as electricity or gas for periods of low sunlight, but special system design can drastically increase the efficiency of these systems. Integration of solar hot water with radiant heating and a geoexchange system can provide heat and hot water for the entire home, year round. The components of a solar water heating system typically consist of a solar collector, one or more hot water storage tanks, and a back-up energy source. The size of the system depends on the hot water requirements and geographic location of a home. Radiant floor heating systems supply heat directly to the floor and walls in a home or building. The greatest benefit of radiant heating is comfort because the living space maintains an even temperature, with no air currents, blowing dust, or cold spots. Integrating radiant floor heating with a geothermal heat pump system is a sustainable and efficient way to heat and cool a home. Radiant cooling is an underutilized technology because of potential condensation if the system is left to run unchecked. This is especially true in humid climates. However, in semi arid climates such as Colorado, radiant cooling is easily applicable with the simple installation of a dew point sensor to monitor condensation potential. On the rare event that conditions are favorable for condensation on the system, the sensor merely shuts down the cooling to prevent this. Ventilation reduces moisture, allergens, odor, and harmful indoor pollutants such as formaldehyde, organic compounds, and radon. According to the environmental protection agency (EPA), as a result of improper ventilation, indoor air can contain up to five times as many pollutants as outdoor air, resulting in discomfort and the aggravation of allergies and asthma. Energy recovery ventilation systems (ERVs), help ventilate and improve the indoor quality of a home while minimizing energy loss. 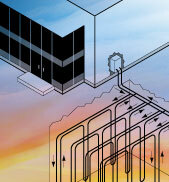 These systems can recover about 70%–80% of the energy in the exiting air, delivering that energy to the incoming air. In addition, HEPA filtration can be incorporated into ERVs to help filter indoor pollutants. All of our alternative power generation systems can be designed and installed as stand-alone systems or can be incorporated into the utility grid. Grid-connected systems are required to qualify for federal and state tax incentives. Solar cells or photovoltaics turn sunlight into electricity. Solar pv panels provide a clean alternative form of power to homes and buildings. The energy savings of solar panels depend on the number and size of panels, the energy needs of the home, and solar intensity of the geographic location. Solar pv can be integrated with wind turbine systems, which can extend the availability of renewable power to a home. Small wind electric systems are an environmentally friendly means to harness the power of the wind and convert it into power for a home. According to the Department of Energy, a small wind system can lower electricity bills by 50-90%. 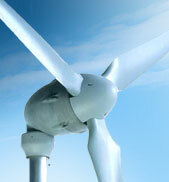 The components of a wind system include a wind turbine, a tower, wiring, controllers, inverters, and/or batteries. Additional equipment, such as solar photovoltaic panels can be included in integrated systems. Hydropower systems use the energy in flowing water as a source of alternative energy to produce electricity or mechanical energy. A sufficient quantity of falling water must be available, usually in areas that are hilly or mountainous. Components of a micro-hydro system include a turbine, generator, wiring, and inverter which are usually sold as a package.